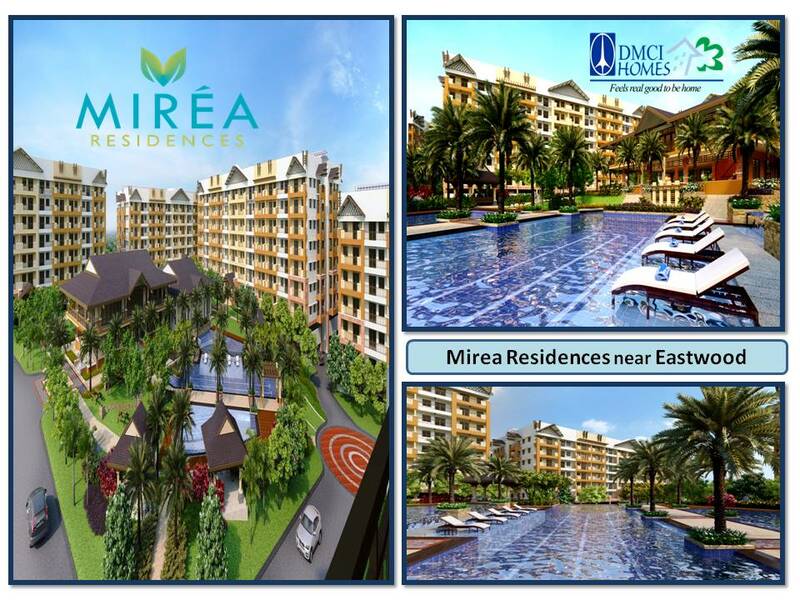 Mirea Residences, a mid-rise development designed with Hawaiian condo concept in Pasig City. Providing a resort-living ambience of lush landscape and an array of amenities. Perfect for growing young families from Pasig City and nearby areas. That offers proximity to commercial and business centers. Unit Types: 2 bedroom unit (64sqm-72 sqm), price range from P3.1M-P3.7M. 3 bedroom unit (87sqm-94sqm), price range from P4.2M-P4.9M. Function Room, Fitness Gym, Game Area, AV Room and Lounge Area. Clubhouse, Lap Pool, Kiddie Pool, Children’s Play Area, Picnic Area, Gazebos/ Cabanas, Badminton Court and Basketball Court. Water Refill Station, Commercial Spaces, Property Management Office, Double-row buildings, Centralized Garden Atriums, Unit Balconies, Basement Parking (with motorcycle slots). Avail flexible payment terms. We guarantee sales service and offers great value. Because you can never go wrong with a trusted Brand. Voted by consumers, DMCI Homes is a 2012 Readers Digest Trusted Brand awardee. We guarantee sales service and offers great value. Condominium Locations: Mandaluyong, Paranaque, Manila, Pasig, Quezon City, Las Pinas, Taguig (5 min away from Market Market), Baguio & Boracay.